In the following weeks we will look at (or through?) the many possibilities raised by this thought – and you’re invited to join in the fun! Submit an original unpublished poem (or poems) via our Contact Form by Sunday midnight on the theme of the week, including your name as you would like it to appear, and place of residence. I will select from these for the column, and add commentary. I look forward to reading your submissions. Reading these submissions at minus 35 degrees Celsius may have influenced some of my choices… this week, the triple pane window reflects, affects how sound carries, and is seen as a barrier – with some negative connotations – where, in practice, I have always seen it as a positive thing that makes my life easier, or at least more pleasant… thanks everyone for these new perspectives! Nicely contrasting the inside of the house with the outside, this poem describes my experience perfectly – imagine the roaring wood stove and another fresh cup of coffee – I look up from the book of haiku that I am reading, or my notebook, to watch the snow for winter inspiration… let me know when you will be visiting! The scene described in this poem can also be interpreted different ways – are we watching the cat still out in the snow and imagining its shiver? Or are we looking out the window with our new friend that we have invited in “just until it warms up”? 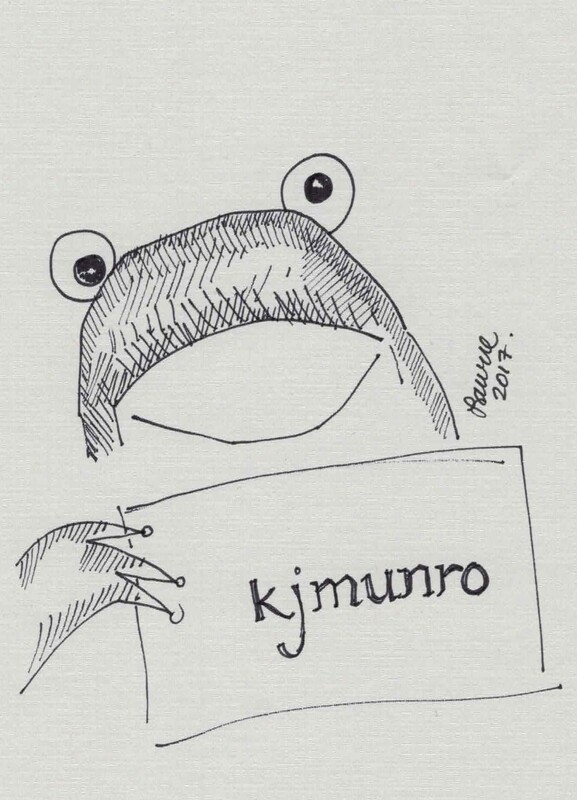 Katherine Munro lives in Whitehorse, Yukon Territory, and publishes under the name kjmunro. 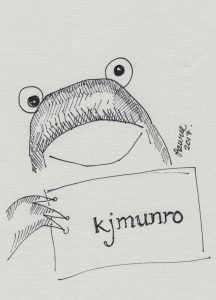 She is Membership Secretary for Haiku Canada and an Associate Member of the League of Canadian Poets. She recently co-edited an anthology of crime-themed haiku called Body of Evidence: a collection of killer ’ku. I’m sorry this is a bit late. I’m enjoying the series of new haiku. Please use the contact form to submit, & the deadline each week is midnight Sunday, just so you know… glad you are liking the posts! thank you again for your deep comment. I’m really honored. Best wishes and congratulations for your great and brilliant work. sincere thanks for your kind words, Eufemia! & thanks for your poems also! Great responses to an interesting prompt. Thank you  Kathy for including again one of mine. I love this column, all great poems. Thanks times three for including one of mine. you are welcome x 3! thanks Mark – I think it was a tough theme, & I’m so happy with the results! Loved Terri French’s poem – what a luxury to have – a triple pane greenhouse! Congrats to all the poets! Another great selection, Kathrine, so very diverse. Dan Curtis’s verse has an Alfred Hitchcock feel to it. Very nice. I look forward to these every week. I love the various viewpoints. Thank you for including mine. It’s much appreciated! Thank you ☺️ Kathy for including one of mine. Sitting here now in a snowstorm surrounded by windows so very apropos. I also particularly like the one by Pamela Babusci.